The award honors early stage Canadian companies who show great potential for future growth. It’s imperative to recognize Companies-to-Watch winners for their early stage growth, bold entrepreneurship and forward thinking. FreshGrade was recognized with a Companies-to-Watch Award, as part of the Deloitte’s Technology Fast 50™ Awards for its innovative technology, leadership and early stage growth. About the Deloitte Technology Fast 50™ - The Deloitte Technology Fast 50 program is Canada’s pre-eminent technology awards program. Celebrating business growth, innovation and entrepreneurship, the program features three distinct categories including the Technology Fast 50 Ranking, Companies-to-Watch Awards (early-stage Canadian tech companies in business less than four years, with the potential to be a future Deloitte Technology Fast 50 candidate) and the Leadership Awards (companies that demonstrate technological leadership and innovation within the industry). Program sponsors include Deloitte, Aequitas NEO Exchange, Bank of Montreal, Bennett Jones, OMERS Ventures and Vistara Capital Partners. For further information, visit http://www.fast50.ca. About FreshGrade - FreshGrade develops solutions that enable educators, empower students, and engage parents in the evolution of education by allowing real-time demonstration of student learning to increase student engagement and success. 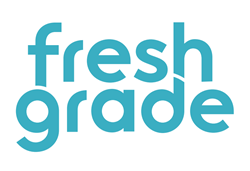 FreshGrade is now available to school districts in the US nationwide. For information, visit http://www.freshgrade.com, email info(at)freshgrade.com, or phone +1 -877-957-7757.